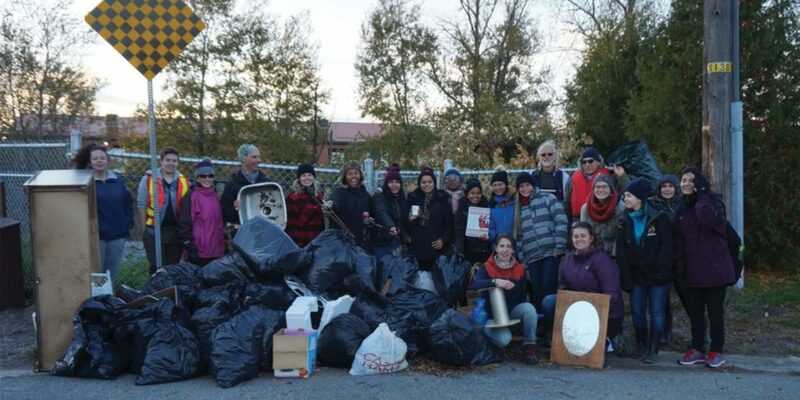 Cleaning up garbage is nothing new to the staff and volunteers of the Junction Creek Stewardship Committee. With over 19 years of active restoration, research, education and awareness, the committee has worked with the community to revive Junction Creek, which has included the removal of over 80,000 kg of garbage from the stream and shorelines. “Junction Creek is an important urban waterway in Greater Sudbury which connects communities and provides a unique natural asset” said Miranda Virtanen, Coordinator for the Junction Creek Stewardship Committee. “The creek is not small by any means, reaching 52 kilometers in length, it is part of 9 out of 11 Wards and, as many may not know, runs under the downtown core through the heart of the City”. It was this question that brought the Junction Creek Stewardship Committee and Plastic-Free Greater Sudbury out to the creek on a blustery day this past October, along with 30 other concerned citizens and community groups. The idea was to, in addition to cleaning up the garbage, tally what was found and create an inventory. By categorizing the garbage, the stewardship committee and Plastic-Free Greater Sudbury hoped to gain a better understanding of the types of garbage in the creek and potential sources. October’s tally revealed some incredible statistics. Over the 2 hour clean-up, nearly 2,000 plastic wrappers, over 500 coffee cups, 370 individual items of clothing, and more than 1,300 plastic bags, bottles, and straws were removed from a 300 meter stretch of Junction Creek. 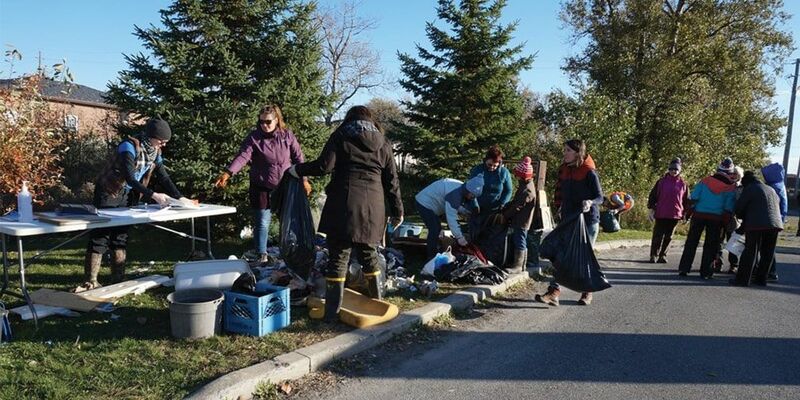 Larger items like furniture, household appliances, and electronics were also collected for a total of 400 kg of waste removed from the shorelines and community, contributing to a grand total of 2,560 kg of garbage in 2018. 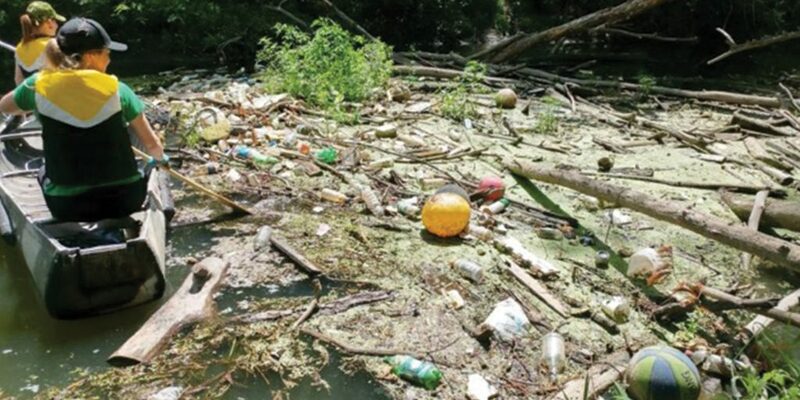 Continued efforts to track and monitor garbage littering the waterway will carry on in 2019. Garbage cleanups and inventories will be scheduled throughout the watershed and will require help from local residents and businesses. Science Communication Intern, Brandon Holden stated that “results from the inventories will be shared with the community and used to make recommendations for reducing garbage in Junction Creek and the surrounding community”. Anyone interested to learn more about the restoration efforts of Junction Creek, ways to make a difference, or to participate in a local clean-up can please email restoration@junctioncreek.com or call the Junction Creek Stewardship Committee office at 705-525-8736. The Junction Creek Stewardship Committee is a not-for-profit organization aimed at restoring life and health to the Junction Creek ecosystem. They are also a member of Ontario Nature's Nature Network. Wow! Amazing that that much garbage could accumulate in this creek…Congrats to all for an incredible clean up job….I hope that this will change the attitude of people that litter and dump garbage in natural areas.